Nick Jones, founder of the Soho House group of hotels and restaurants, will outline his plans for using digital media to develop the brand at a conference in January. The entrepreneur will explain how Virtual House, Soho House's online community, has added another dimension to the private members' club brand, and is expected to unveil new plans for social media promotion such as via Twitter and Facebook. Jones, who has recently added clubs in Los Angeles, Miami and Berlin, will be speaking at the Future Luxe conference on 20/21 January. Other speakers include Nadia Swarovski, Vice President of Swarovski; Marigay McKee, Fashion Director of Harrods; and will be chaired by Kate Reardon, Contributing Editor of Vanity Fair. 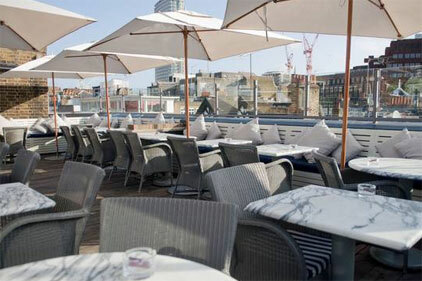 Soho House was founded in London, in 1995, as a private members' club for those in film, media and creative industries. The Group has since developed into a fully-fledged luxury brand, with clubs around the world. Jones, who sold a majority stake in the business to the billionaire Richard Caring two years ago, is believed to be eyeing new properties in Milan, Paris, Brazil and across Asia.